Hello Fellow Travelers! 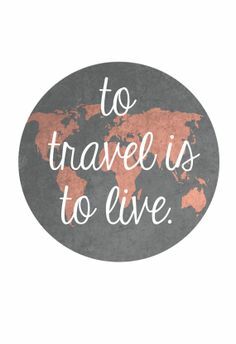 Where have you traveled to recently? Now let’s get on with it..
Where you travel leaves an impression on your mind, changes it permanently somehow, even in the most miniscule fashion. You can’t un-see the beauty of a place, you can’t un-hear the buzz of a busy local bazaar, you can’t un-smell the salty coastline or the sweet lakeside, and you definitely can’t un-feel the vibration of the destination, rhythmically match your heartbeat. All these changes, may seem unimportant and of no measurable consequence, but that is as far from the truth, as is one alternate reality from another. Travel is the funny tingle in your belly, during take off or touch down in a flight, it’s the wide grin on your face as you sit by the window in a train/cab, it’s the wonderful ache in your feet after a long long walk, it’s the memories of a distant land, it’s the sound of camera shutters of tourists making memories. It’s the smell of an unfamiliar land assaulting your senses. Travel is about the small joys and large additions to your store of memories. Travel is about the food, the life and spirit of a place, it’s about the noises, and the silences, it’s how the place wakes up every morning, and sleeps at night. Travel is a teacher and a friend, a philosopher in plain sight, an explorer on a mission. Travel is the one way, we find that we’re better off without the glitz and glamor of an extravagantly “comfortable” life. Travel is freedom in its purest form, travel is life in its bold simplicity, and shy classiness.